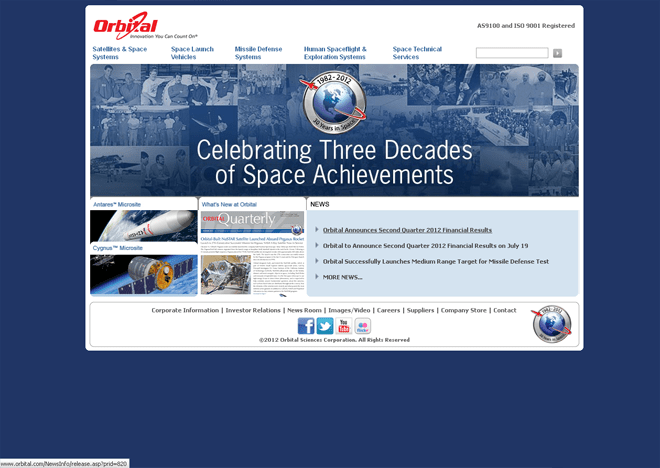 10 Space Travel Company Websites | Arthur Brown Jr.
Travel to the stars has long been a dream of mankind. With the last post honoring the crew members of the famed Apollo mission series, it seemed appropriate to follow that up with a post about space travel as it exists today. NASA is still a major player in the field of space travel but more and more private companies are springing up with the expressed intent of making travel to the stars much like taking a flight on a plane or setting sail on a cruise ship. 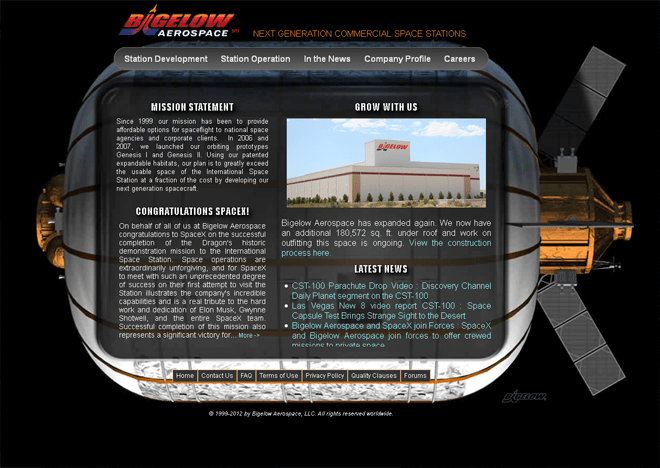 Below are a list of private space flight companies websites. 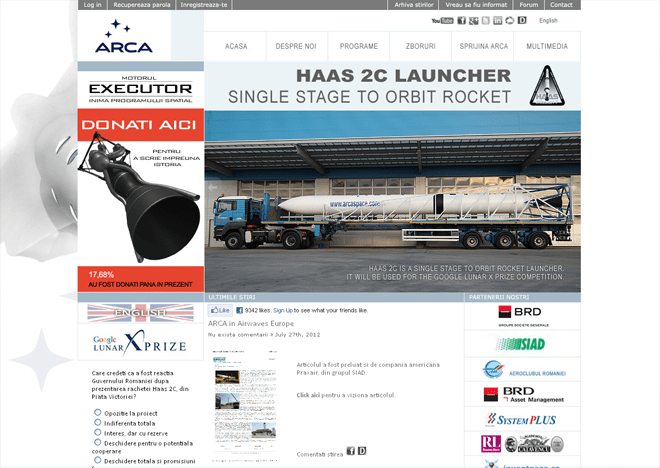 Asociația Română pentru Cosmonautică și Aeronautică (ARCA) or Romanian Cosmonautics and Aeronautics Association is a non-governmental organization that promotes aerospace projects as well as other space-related activities. It is based in Râmnicu Vâlcea, Romania. 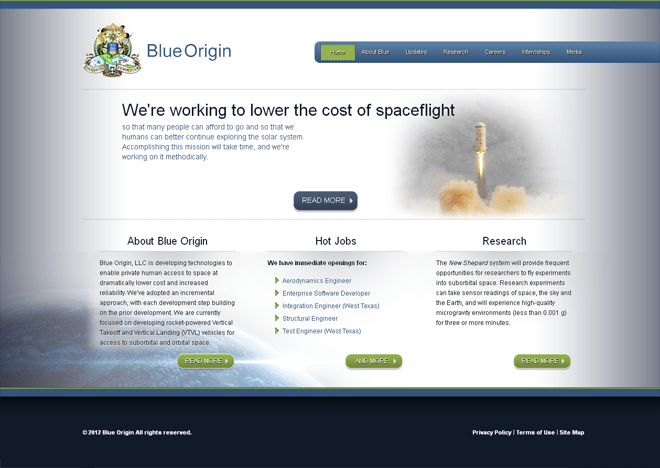 Blue Origin, LLC is developing technologies to enable human access to space at dramatically lower cost and increased reliability. This is a long-term effort, which we’re pursuing incrementally, step by step. We’re currently focused on developing reusable launch vehicles utilizing rocket-powered Vertical Take-off and Vertical Landing (VTVL) technology. The company was founded in 2002 by Elon Musk to revolutionize space transportation and ultimately make it possible for people to live on other planets. 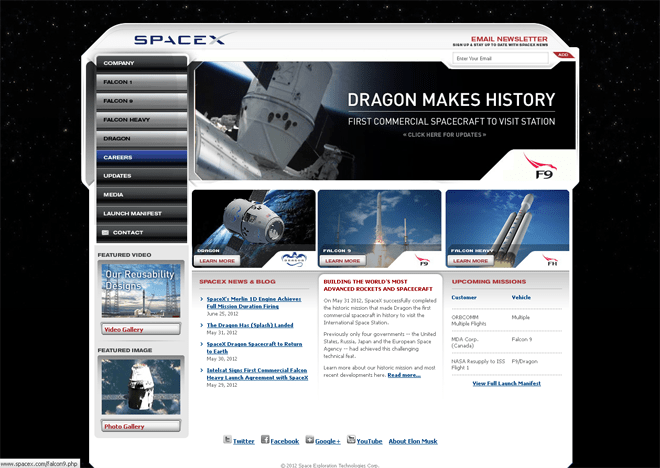 Today, SpaceX is advancing the boundaries of space technology through its Falcon launch vehicles and Dragon spacecraft. 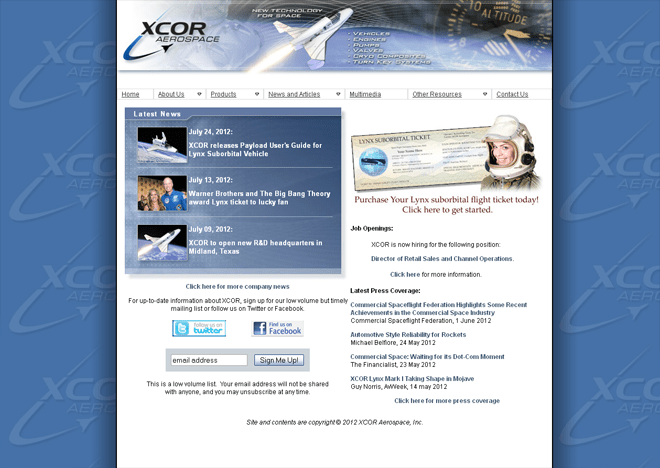 XCOR Aerospace is a small, privately-held California C Corporation founded in 1999. 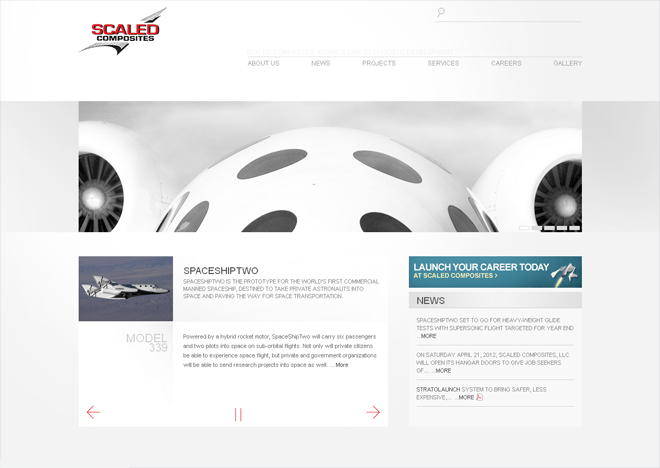 The company has evolved from its original four founders, working out of our chief engineer’s tiny hangar, to a team of 20 plus highly-skilled, experienced and talented employees housed in a 10,375 square foot hangar on the Mojave Air & Space Port in Mojave, California. 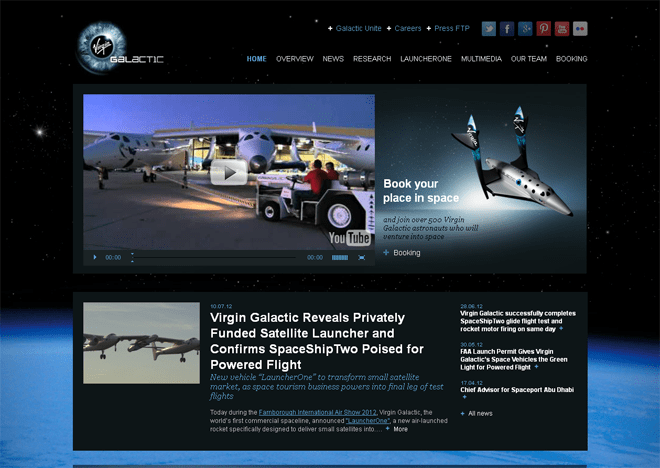 Virgin Galactic is a company within Richard Branson’s Virgin Group which plans to provide sub-orbital spaceflights to space tourists, suborbital launches for space science missions and orbital launches of small satellites. 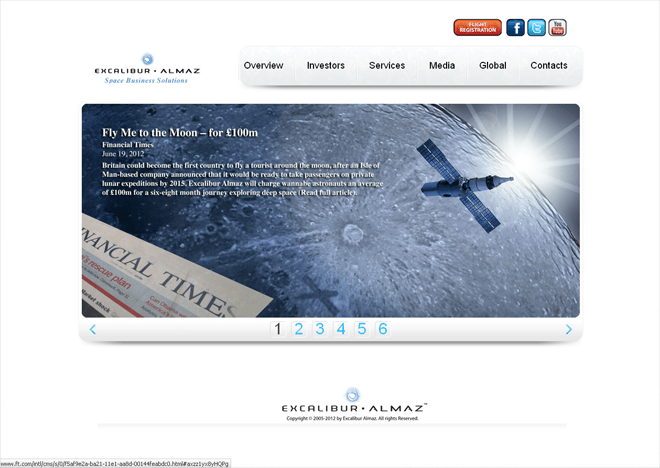 Excalibur Almaz Limited (EA) is an international commercial space transportation company based in the Isle of Man. Its goal is the affordable and reliable transportation of humans and cargo to Low Earth Orbit, libration point, the Moon and beyond. 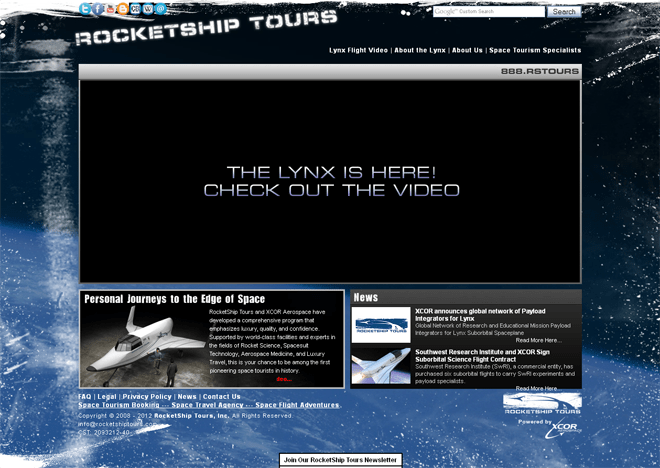 At RocketShip Tours we have committed ourselves to providing the safest and most rewarding experience possible. We have assembled the brightest, most innovative, groundbreaking, enthusiastic and dedicated team of experts in the fields of Rocket Science, Spacesuit Manufacturing, Aerospace Medicine, Luxury Accommodation and Professional Travel Services to offer you the most enriching and memorable experience of your lifetime. As the industry leader in small- and medium-class space and rocket systems, Orbital provides a complete set of reliable, cost-effective products. Our satellites include geosynchronous Earth orbit (GEO) satellites for communications and broadcasting, low Earth orbit (LEO) spacecraft that perform remote sensing and scientific research, spacecraft used for national security missions, and planetary probes to explore deep space. Our launch vehicles rockets that transport satellites into orbit, interceptor booster vehicles deployed to protect against enemy missile attack, and target rockets used to test missile defense systems.